“Veteran Friendly” Needs to be More than Just a Marketing Term – VConnections, Inc.
Veterans and their families across the U.S., including those in Southern Maryland, are beginning to question the use of the term “Veteran Friendly” or “Military Friendly.” Many see it as a marketing term used by some businesses and institutions to attract veterans and their families only to have it turn into a “bait and switch” program. We find that more and more educational institutions use the term “Military Friendly” to attract veterans with GI bill benefits. The recent economic downturn made it tough to find employment, so many veterans have returned to school to continue their education and enhance skills learned while on active duty. 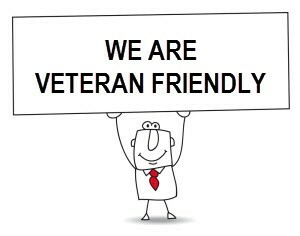 However, what veterans are finding is that some college campuses using the term “Veteran Friendly” or “Military Friendly” collect millions of dollars from the VA, yet don’t have a clue as to what the terms mean. Studies have shown that veterans attending institutions where lounges, resource centers, career counseling, and other support tools specifically for veterans are available have an easier time making the transition from the military to a college culture. Networking, mentoring and camaraderie play an important role in that transition. Services and resources are available from the VA and many organizations to assist institutions in becoming “Veteran Friendly.” If you find a lack of resources and support on your campus, please address these issues with the Veterans Affairs office. As for “Veteran Friendly” businesses, media outlets have sensationalized post-traumatic stress disorder (PTSD) to a point where most businesses claiming to be “Veteran Friendly or “Military Friendly” will not hire a veteran because of the stigma associated with the mental illness. Even though most veterans are proven team players and project managers, in some cases they are overlooked due to this stigma. 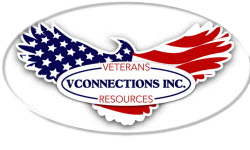 Southern Maryland businesses that want to be known as being veteran or military friendly, but are reluctant because of the stigma associated with PTSD, should consider having a VA-trained professional come in and provide free training and seminars on the subject. Our veterans are worthy of the effort to discern between facts and myths associated with PTSD. As the debate continues, I ask, how can our institutions and businesses in Southern Maryland work with our veteran population to overcome the many challenges facing our men and women who have heroically served? As an advocate for Southern Maryland veterans who are furthering their education and/or seeking employment, I look forward to working with community leaders and our veterans on these issues.